This deliciously scented moisturizer for extra dry, parched skin helps seal in moisture, leaving your skin feeling soft, silky and totally lovable. After a relaxing bath or shower, gently massage onto towel-dried skin. Put a little extra on rough areas like your knees and elbows. I am in love with Love Butter. I have been using it for about 2 weeks and my hands look younger and are softer and my feet are smooth and soft. I am allergic to flor scents and this one is perfect. I just love it. Plan to buy for all my girlfriends. This is a very good mosturizer for dry skin. Easy to rub into skin. This is a reorder product for me. 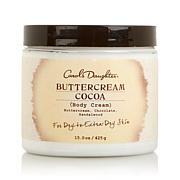 this product does what it says it moisturizes the skin and not too greasy, love the smell . getting ready to order more. thks carol for all your products and making them affordable. Just delicious. Feels good, smells wonderful. 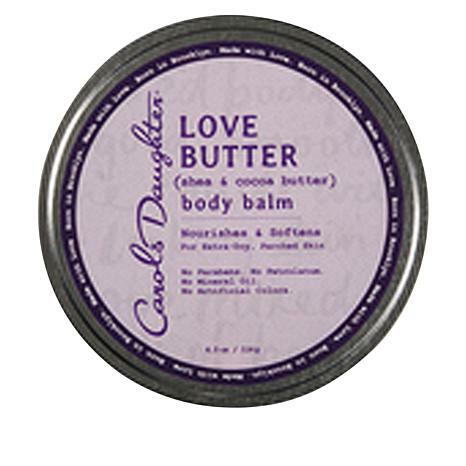 This is my favorite Carol's Daughter product! One of my brothers brought this for me one Christmas. Every time I wear it, someone wants to know what it is. Love Butter is my favorite scent!